Here are some testimonials we have happily received from customers on our products. We plan to add more every so often. ...great product by the way. Very well made, lots of pockets. 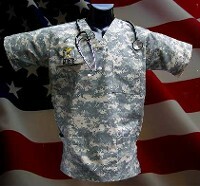 We look forward to ordering more scrubs from your company. Very good service. 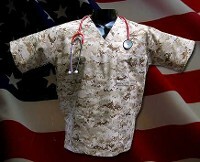 The scrubs are made of good fabrics and with good workmanship. Fast delivery. It's great to have a few more options for men who work in the medical field. Recently an order I had placed and am ready to order more. Superfast shipping and treffic scrubs. " Everyone is very happy with them. We had a major trauma yesterday and one of the medics got soaked, the top held up great & came clean. 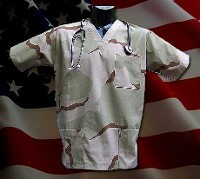 ...you have great scrubs and I have enjoyed the one I recieved as a gift. Thanks again for the quick response. I'm doing great !! 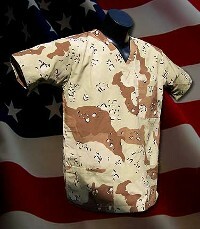 "WE", 332 EMDG, Balad AB Iraq, are really enjoying the scrub tops!! They are a real hit ... we are now getting them embroidered and forwarding to friends, family and commanders that pass thru. Thanks Joe !!!! I appreciate your fast delivery, and I appreciate the product that you produce, it was a big hit with our physical therapist and I understand that my Battalion is looking to order more. Again, thank you for your continued support for the troops, your generosity in assisting with the delivery, and for your overall professionalism. Really From just an old Grunt ... thanks, and all the best to you. You have GREAT scrubs and I have enjoyed the one I received as a gift, which lead me to getting an order for more along with my co-workers. Thanks for the quick response, and I hope to be able to do business with you again in the near future. 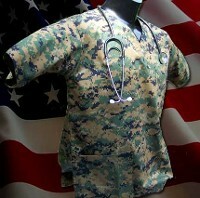 Today myself and my medical NCO recieved the ACU scrubs we ordered from your company, and we wanted to say thank you ! ! ! The quality of your merchandise exceeded what we were expecting. ... Once again thank you for providing a quality product at an exceptional price. I hope that other's recognize the value of services like yours. I put them through a brutal hot wash and dryer and they did beautifully. I wore one of the tops today and recieved many good comments. The section supervisior here is trying to get the Dept. 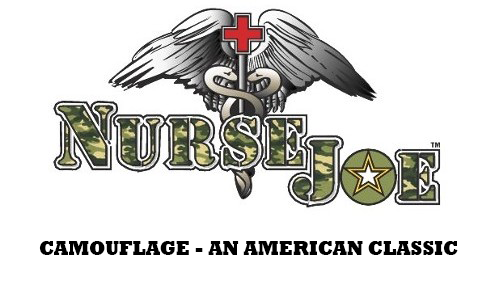 of Nursing to buy and issue your ACU scrubs for about 100 soldiers working on the wards right now. 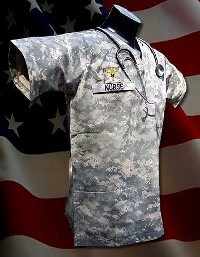 Not sure whether or not that will happen, but if it doesn't, these soldiers will be allowed to purchase your ACU scrubs on their own. I am currently deployed and love your stuff. We have some issued to us but we have to turn them in when we leave so I wanted a few for myself. Let me know if these items can be added thank you.